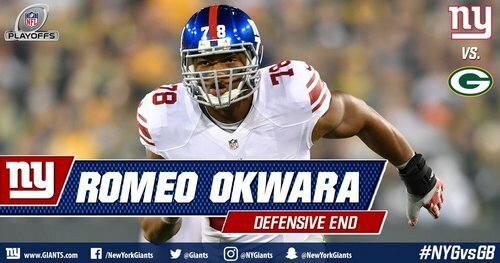 Giants CB Dominique Rodgers-Cromartie is questionable to return because of a bruised thigh. A big loss if he can't return. #Packers can't take advantage of a 32-yard pass interference penalty. Bad screen, sack of Rodgers, incomplete pass and a punt. One of Aaron Rodgers' worst throws since #Packers run-the-table streak began. Had Jordy Nelson wide open, just under threw him. Eli Manning is 7-11 for 85 yards, and that's with three dropped passes from his receivers. #Packers secondary needs to start covering. Aaron Rodgers emphasized importance of a fast start. After two series, #Packers have more penalty yards (32) than actual yards (11). Almost worked, but not really sure why you'd run 3 straight times when #Packers secondary didn't cover first 2 drives. GB wants them to run. Interesting play calls there by McAdoo. Poor punt by Wing gives the #Packers the ball at their own 45-yard line. 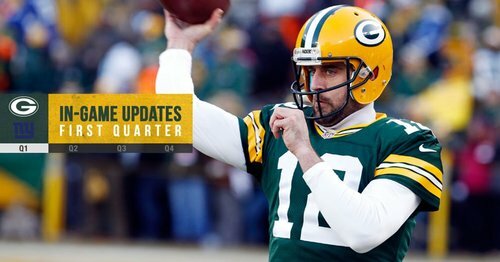 #Packers QB Aaron Rodgers in first quarter: 3-7, 19 yards, 2.7 average per pass, 50.3 rating. And he's missing open receivers. Weird. End of the first quarter at Lambeau Field: #Giants 3, #Packers 0. Aaron Rodgers is 3-of-7 for 19 yards and has been sacked twice. The #Packers with 7 total yards in first quarter. 32 penalty yards. End of one in Green Bay. Janis in again, lot of snaps for him early, way more than usual. You know, Giants also had a 3-0 lead after the first quarter in the 2007 NFC championship game at Lambeau Field. Just saying. That second-down play looked like #Packers wanted to get the ball out quickly and it was foiled by unblocked blitz. Wow. Rodgers brought down again wayyyyy behind the line of scrimmage. Loss of 15 yards. #Packers will punt. There were some boos already. Given a short field from struggling D, #Packers lose 19 yards on 3 plays. 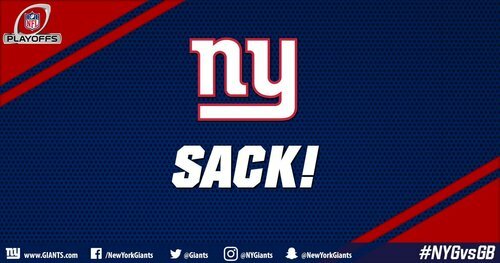 Giants get ball 11 yards past GB's first-down marker. Ouch. 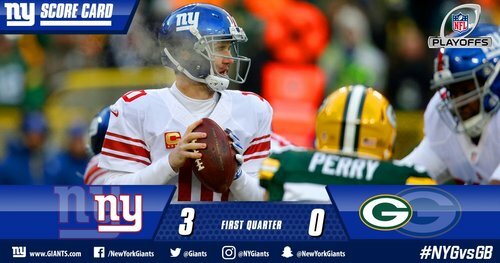 Giants take 3-0 lead over #Packers after one. Rodgers sacked twice on a three and out series. To this point, the #Packers have been outgained offensively, 120 to minus-8. Manning is 9 of 14 for 103 yards, 86.3 rating; Rodgers is 3 of 8 for 19 yards, 45.8 rating. The #Packers currently with -8 yards of offense. #NYG defensive coordinator Steve Spagnuolo has gotten the best of #Packers coach Mike McCarthy thusfar. Does it change this drive?